Thanks to TripAdvisor for sponsoring this post! I recently had the opportunity to travel to Seattle for a weekend getaway with my boyfriend. I had never been to Seattle before, but have been longing to go since the first season of Grey’s Anatomy. There are endless things to do in Seattle, so when we were planning our trip, I decided to check out the options on TripAdvisor. With its millions of traveler reviews, TripAdvisor is the best place to plan a trip. They even rolled out the ability to book attractions, tours, and experiences, so while you’re researching the best places to visit, you can book those places, too! 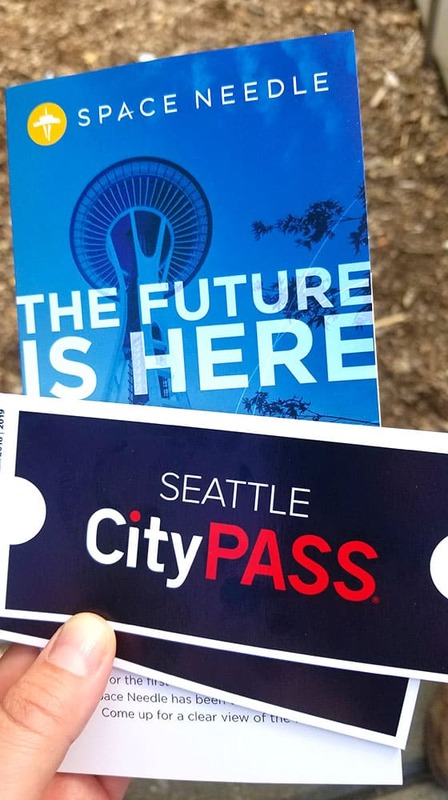 When I was researching Seattle, one of the attractions that caught my eye was the Seattle City Pass. That sounded like a perfect agenda for a weekend getaway. I felt we were getting an amazing deal to see so many popular Seattle attractions! I also felt reassured that it would be a great experience, given that 367 TravelAdvisor users gave it an average 5-star rating. 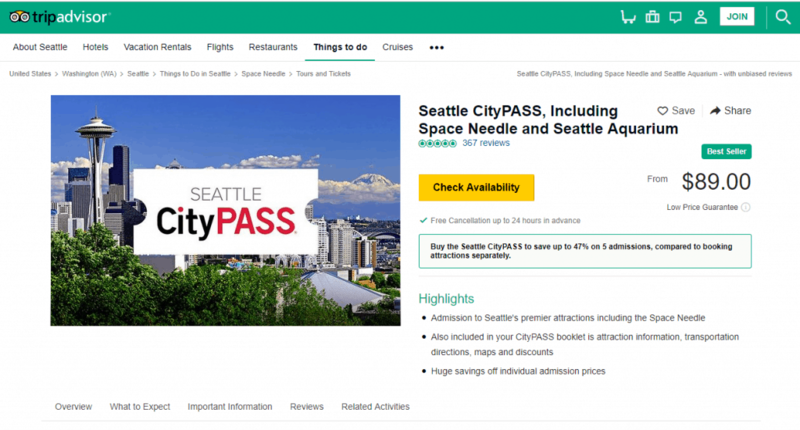 After I purchased my Seattle City Pass on TripAdvisor, I received tickets via email to print. 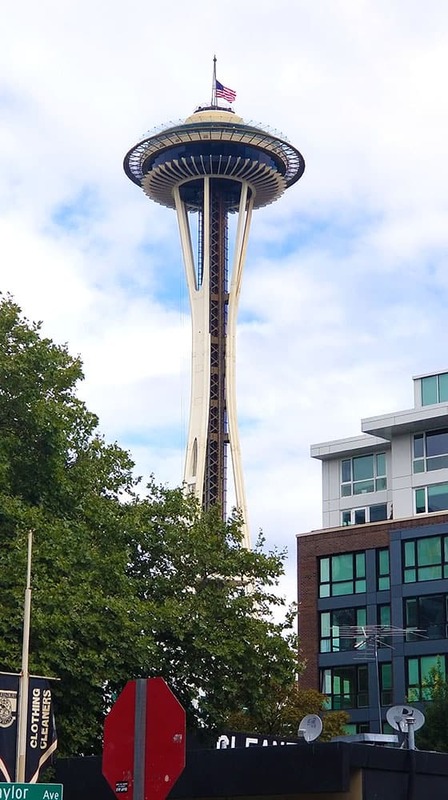 Once we hit Seattle, our first stop was the Space Needle. We stood in a short line, and an employee at the Space Needle took my printed tickets, and gave us a Seattle City Pass booklet in exchange. The booklet contained all of the tickets we needed for our Seattle Adventure! 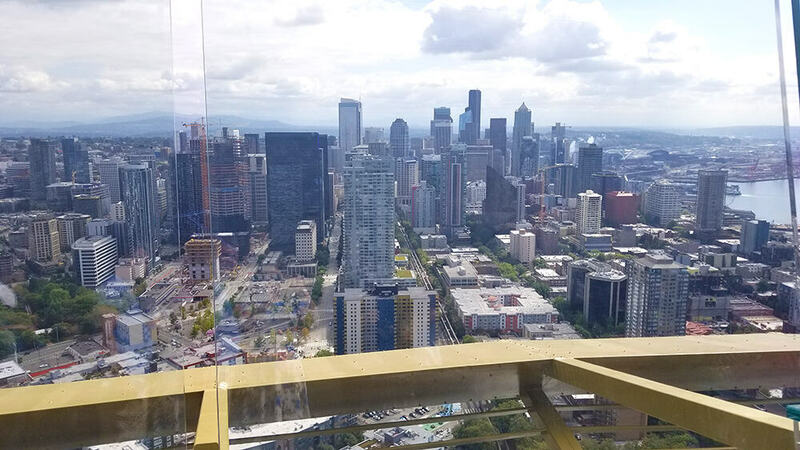 In 2018, the Space Needle went under renovation to add some really cool new features. 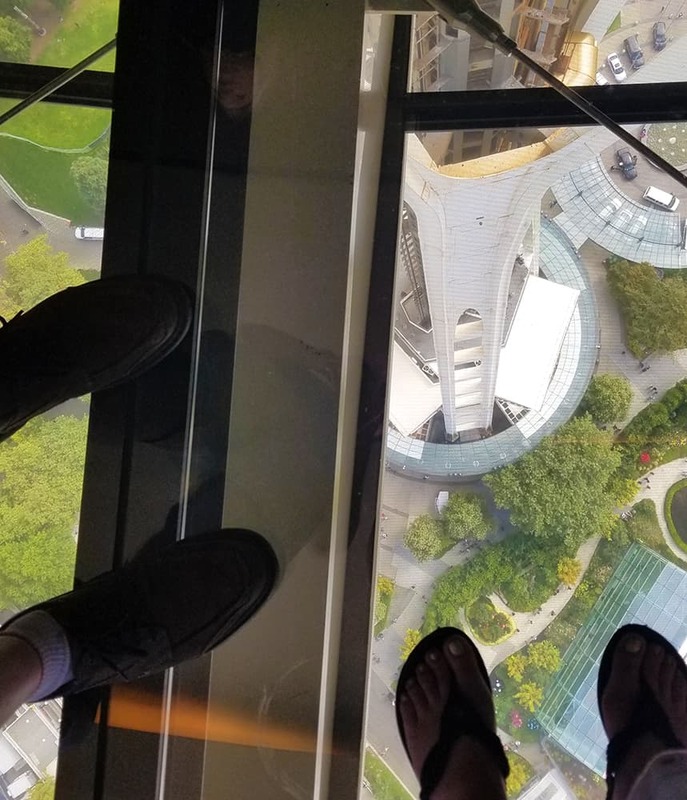 At the top of the Space Needle, they replaced the wire caging on the outer observation desk with new floor-to-ceiling glass barriers, giving a gorgeous (and safe) 360-view of the city of Seattle. On the Loupe, they installed a revolving glass floor, giving you an awe-inspiring view of the city below. With the Seattle City Pass, you get the option of going to the Museum of Pop Culture or the Woodland Park Zoo. Because we were on foot, we decided to hit up the Museum of Pop Culture (MoPOP), which is right next to the Space Needle. The MoPOP is a museum of contemporary pop culture, featuring some pretty amazing exhibitions featuring Marvel, Pearl Jam, Nirvana, and Hendrix. 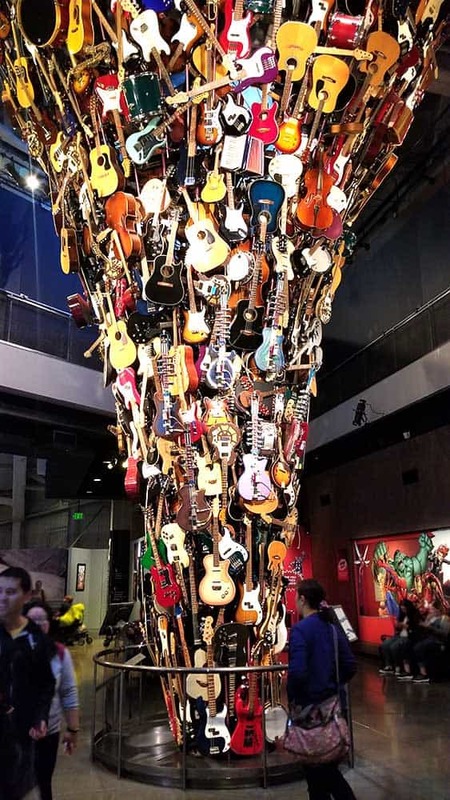 Outside the Hendrix exhibit is an impressive display featuring hundreds of guitars. After we spent a couple hours touring the exhibitions in the MoPOP, we stopped by the Culture Kitchen, which is a Wolfgang Puck cafe and bar inside the MoPOP. You can snag lunch from a restaurant of a world famous chef, for about $15, which I think is pretty impressive. 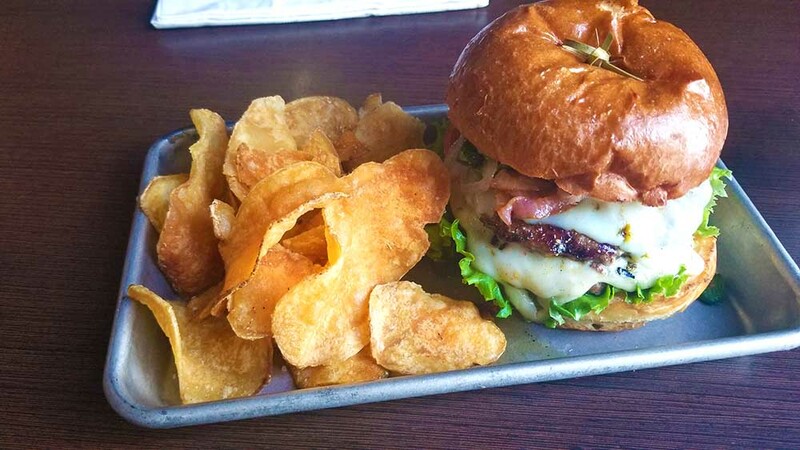 I highly recommend the Jalapeno Burger! If you haven’t seen Seattle from the water, it’s definitely an experience! We took the one-hour Arogsy Harbor Cruise tour. 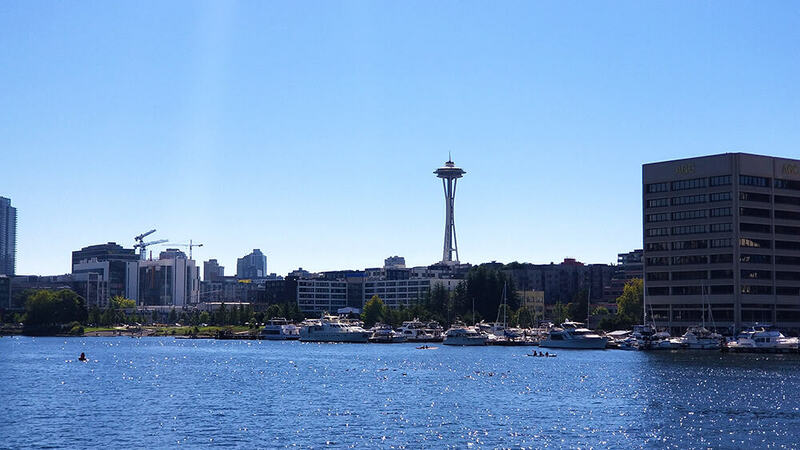 On the cruise you’ll learn about the Seattle skyline and see the waterfront. We sat back and enjoyed a drink while taking in all of the beauty. 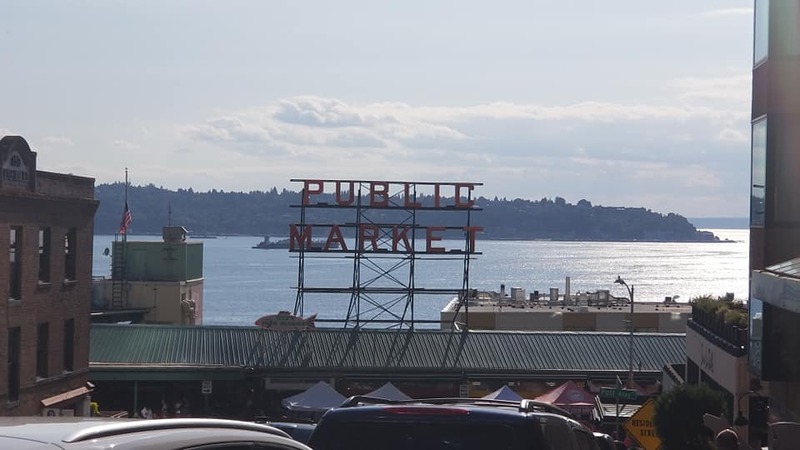 While we were there, we also stopped by Pike’s Place, which is free to go to, and such a cool experience. I don’t think you’ve really experienced the awe of Seattle until you’ve seen the flying fish and enormous colorful bouquets of Pike’s Place. Thanks to TripAdvisor, we had an memorable, experience-packed weekend in Seattle. From Seattle to Thailand to New York, TripAdvisor can help you plan the perfect vacation for your family! They have over 56,000 bookable experiences in 2,500 destinations worldwide. Whether you’re looking for a walking tour, theater tickets, VIP access, or the Seattle City Pass, you can search the reviews and easily book your experiences in one location with TripAdvisor. They even have a low price guarantee, so if you find a lower price for the same tour or activity within 72 hours of booking, they’ll refund the price difference! Be sure to check TripAdvisor out when you’re planning your next vacation!